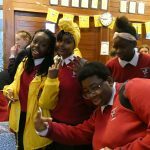 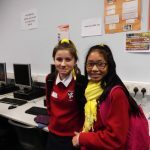 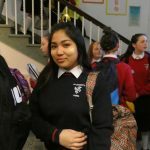 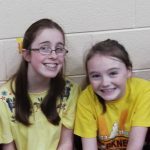 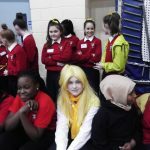 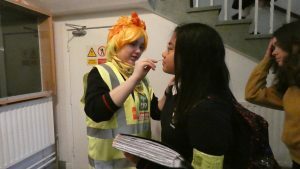 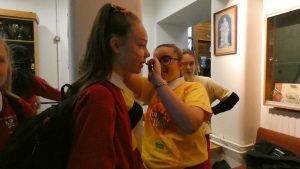 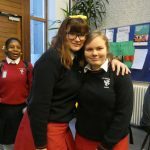 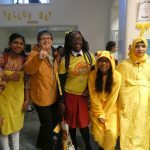 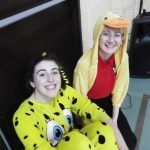 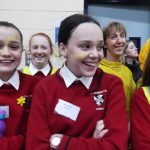 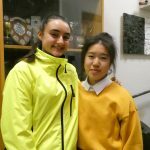 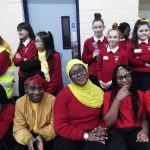 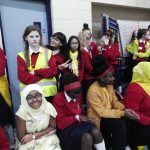 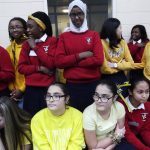 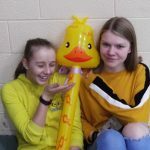 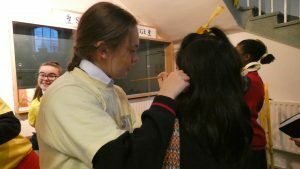 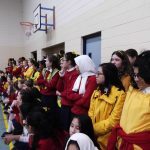 Yellow Day 2018: a resounding success! 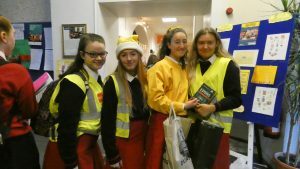 Friday 23rd November saw the annual Vincent de Paul fundraising day. 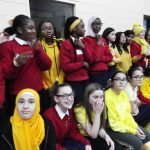 The school was a sea of yellow! 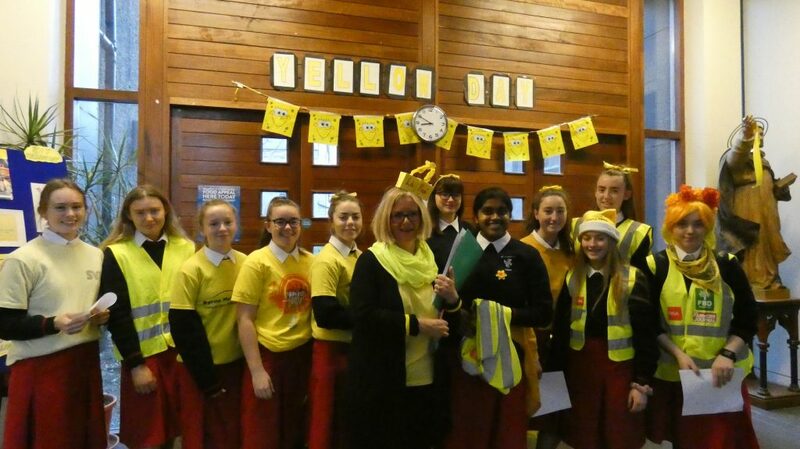 Both students and staff accessorised in yellow and contributed food items for the Christmas Hamper Collection. 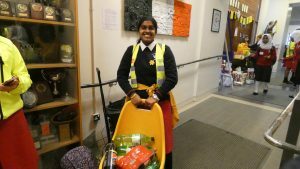 Students and staff each brought in €2 to contribute to the collection. 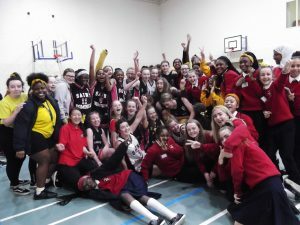 In the afternoon, second year students had the difficult task of taking on the teachers in the 'Student v. Teacher Basketball Match'. 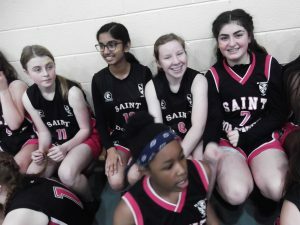 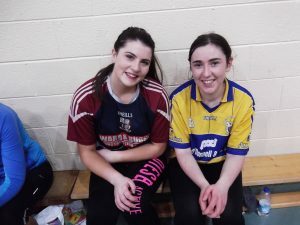 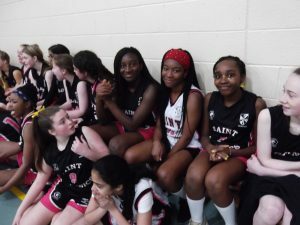 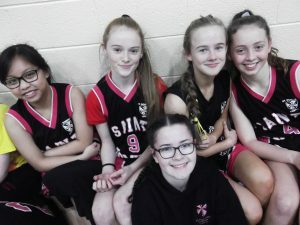 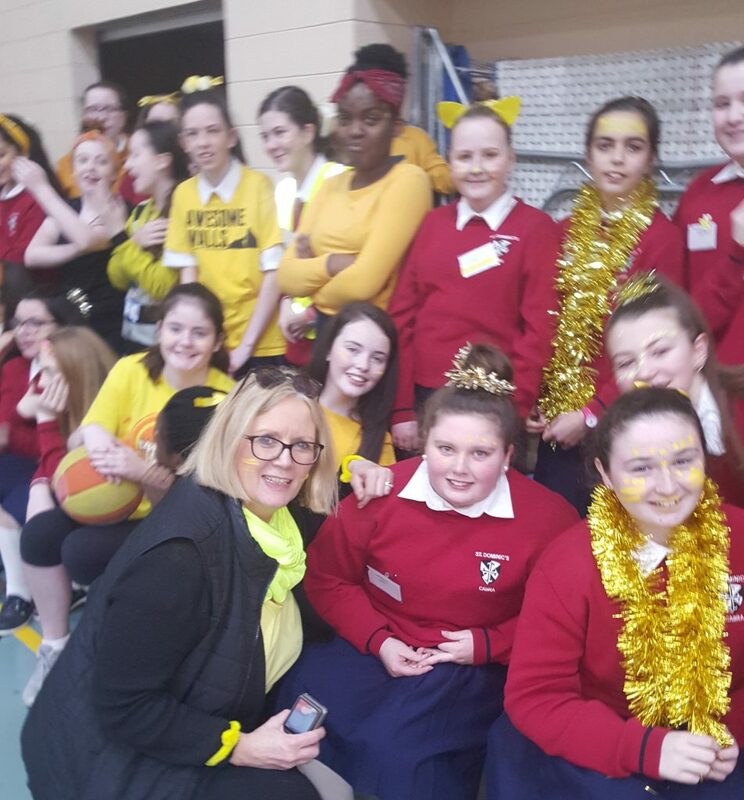 Ms Aherne once again fielded a very talented student team. 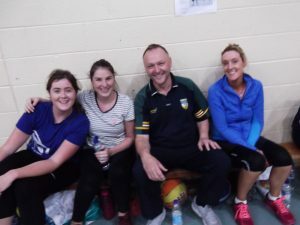 The teachers, who must have been secretly training for the past twelve months, looked quite impressive on the day! 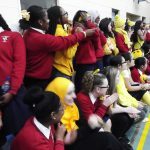 All first and second years attended and through their roars and screams, encouraged both students and teachers! 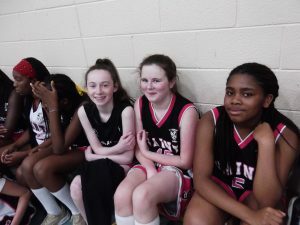 When the final whistle blew, the teachers had won the day, but the students did not go down without a fight! 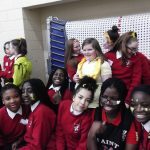 The day was a great success and had a wonderful atmosphere. 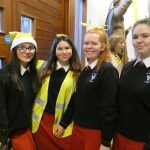 So far €1,400 has been raised and as a result over fifty local families will now receive food hampers along with a meat voucher for Christmas. 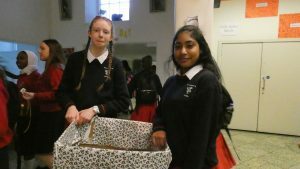 It is heartening to know that this tradition of making a difference to our local community at Christmas is still as strong as ever in St. Dominic’s. 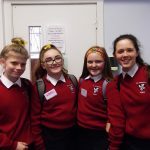 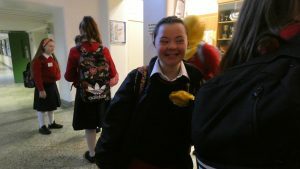 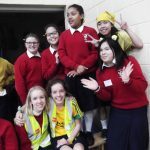 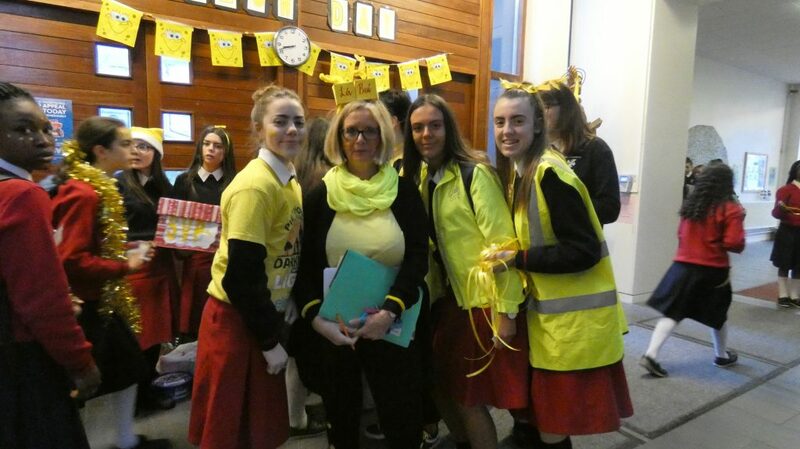 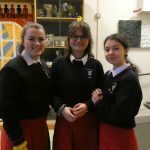 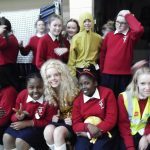 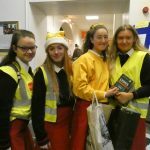 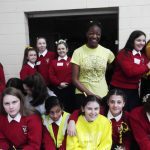 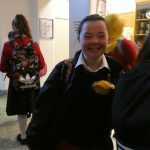 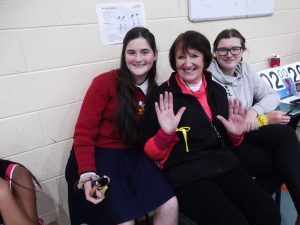 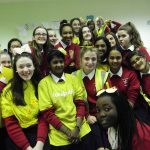 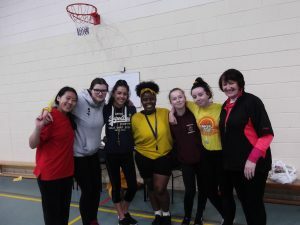 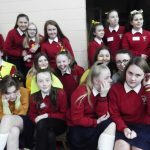 A special word of thanks must go to the Transition Year students who illustrated great organisational skills and gave generously of their time to make Yellow Day a success. 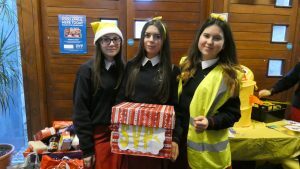 They are working at present on filling the hampers which will be distributed in mid-December. 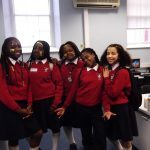 Thank you so much girls! 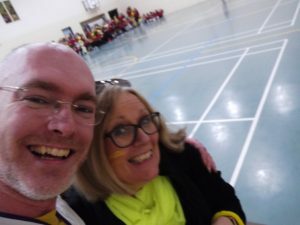 We must also mention Ms Woods, whose tireless efforts and enthusiasm every year makes sure this event runs smoothly and successfully. 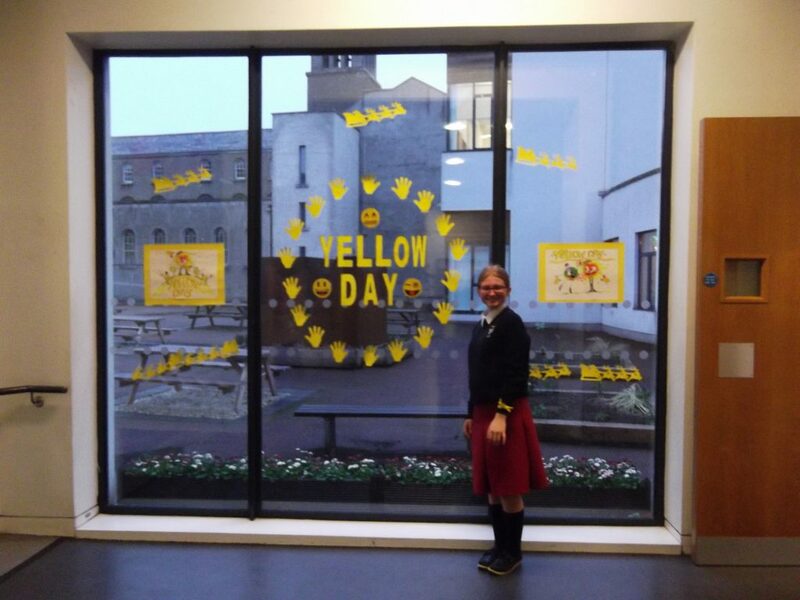 Yellow Day would not work without her touch of magic! 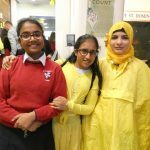 Thanks one and all for taking part! 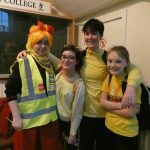 Sponsored Walk 2018 – Pictures!